As the sailing season in Europe comes to an end, some lucky folk will be preparing to relocate their yachts to the Caribbean for the winter months. Autumn is a common time to set off, ideal for making the most of the Caribbean season, and leaving the wintery conditions of Europe behind. On November 23rd 2014, around 250 yachts will be sailing from Gran Canaria to St Lucia to participate in the ARC (Atlantic Rally for Cruisers). It is the biggest trans-ocean rally or race in the world. Later in the season on December 14th a further group of yachts will be leaving Lanzarote, bound for Antigua as part of the Caribbean Christmas Rally. Many other yachts of various shapes and sizes will also be crossing at a similar time. Halcyon Yachts are one of the leading European yacht delivery companies and we are very familiar with the 2700 Nautical Mile route from the Canaries to the Caribbean. 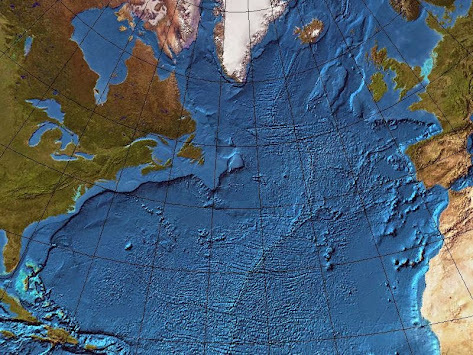 In fact many of our Trans Atlantic crossings start in Northern Europe or the Mediterranean. We also handle numerous yacht deliveries coming back to Europe, more typical in March, April or May. All your safety gear should be in good condition. Your flares, fire extinguishers, EPIRBs and liferaft need to be serviceable and in date. When conducting a yacht delivery of any length we always make safety amongst the crew a priority. This should start with a clear a concise safety brief ensuring that everyone on board knows exactly where all the equipment is kept and how to use it. Everyone on board should also know and respect the rules for safety. The skipper shouldn’t be afraid to ask crew to wear their lifejacket/harness in all conditions – then there’s no confusion. At the very least lifejackets should always be used at night. The best way to avoid a man over board situation is to ensure that nobody is in a position where this could happen. Clip on if you need to leave the cockpit, and certainly wear a life jacket in bad weather. If in doubt, don’t hesitate to go for the safe option. Establish standing orders before you set off, such as not leaving the cockpit to go forward if there’s no one else on deck and not peeing over the side. We will often run safety drills periodically. This helps to ensure that after a week at sea people will still remember exactly where all the equipment is stored and how to use it. As well as knowing how to deploy the liferaft it is crucial that you have a grab bag close to hand to take with you in case an evacuation is required. This should contain items including water, food, flares, first aid, a torch, passports, a credit card/cash, and an epirb. Bear in mind that when sailing offshore you are in an isolated environment with limited access to medical equipment. With safety issues prevention is far better than cure. Always conduct yourself with high regard to safety and look out for each other! Many people over the years have asked me “What’s the best sail configuration for the ARC (downwind/Trade wind sailing)?” I always say that a Genoa and Mainsail are more than adequate. In fact the added complications of a spinnaker or gennaker will only add to the stress and fatigue of the crew. With the Main and Genoa goosewinged you can cover some good daily mileage without the need for extra crew to handle the sails. This means more downtime and more relaxation for both the skipper and the crew! My preferred approach is to triangulate the pole using a foreguy, topping lift and an afterguy. One advantage of fixing the pole in this way is that you can easily and quickly furl the headsail should you need to, keeping the pole in place and ready to go. Be aware of chafe and always set a preventer on the boom. You will more than likely experience several squalls – be ready to furl away the genoa quickly and alter course accordingly to avoid an accidental gybe. When you are sailing offshore, life becomes much more simple. You don’t have the distractions of mobile phones and the internet, you forget about which day it is or whether or not bills need paying. Your focus becomes the daily routine, sunrises, sunsets and of course mealtimes. I believe that one of the most important things for crew morale is to keep the crew well fed! When people are sleeping at random times throughout the day and night mealtimes become very sociable – and may be the only time when everyone is up and in the cockpit together. If you are planning the provisioning for an ocean passage then it is crucial that you find out about peoples tastes (especially if you have anyone with particular dietary requirements or allergies). It is also essential that you carry enough to last the journey, and are disciplined with the distribution throughout the passage. Most skippers will try to involve all the crew when it comes to domestic duties such as cooking and cleaning. I prefer to include the duties as part of the watch system so that the workload is shared, and everyone knows exactly what is expected of them. Drawing out a meal plan for the expected duration, adding at least 20% for potential delays, is one approach that is commonly used. I personally prefer to allow the duty cooks a bit more freedom so that they can prepare dishes suitable to their own expertise and the current weather conditions. My top tip is to stock the vessel with plenty of dried pasta or Couscous, lots of tins of vegetables, cereals, uht milk, long life bread, cheese, chocolates and crisps, biscuits and snacks etc… Fresh fruit and veg is essential, and some items will last a surprisingly long time. Apples, Oranges and Bananas are excellent fruits to have on board; potatoes, carrots, cabbage and onions are great examples of veg that also lasts a long time. Cured meats such as chirozo and salami are fantastic. Bacon also lasts very well. You should also consider fishing for fresh tuna or baking your own bread. Something that has worked very well for me over the years is the technique of storing boxes of treats. You can prepack a few boxes of luxury foods that will only be opened on a certain day – perhaps a Sunday! You will find that the crew look forward to the surprise, and it is a great way of ensuring that certain food types don’t all get consumed in the first half of the trip. Items such as olives, dark chocolate, pate, anchovies, granola, fizzy drinks etc can all bring a smile to the face of someone who has perhaps eaten far too much corned beef! It is likely that you will have more people onboard your yacht for an ocean passage than usual. Whatever power you think you’ll use, add on another third to make sure you are covered! Nav lights, radar, radio, autopilot, watermaker, fridge, freezer, electric fans, laptops, etc will add up. 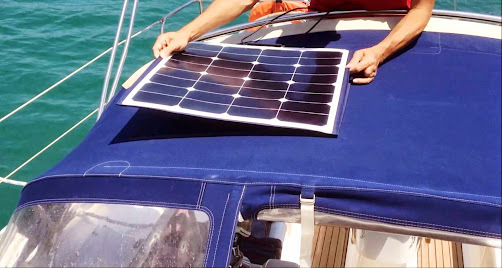 It is very important to make sure that the batteries are in good working order before you set off, and I recommend that you try and increase the means of generating electricity with either a diesel generator, larger alternator, solar panels and/or a wind turbine. You can also look into ways of making savings, such as fitting LED lights. Equipmant can fail, so have a back up plan! If you have a watermaker for example, then also carry enough bottled water in case it goes wrong. Additional training is highly recommended. Ocean seamanship is more about managing problems and fixing things than navigation or routeing. 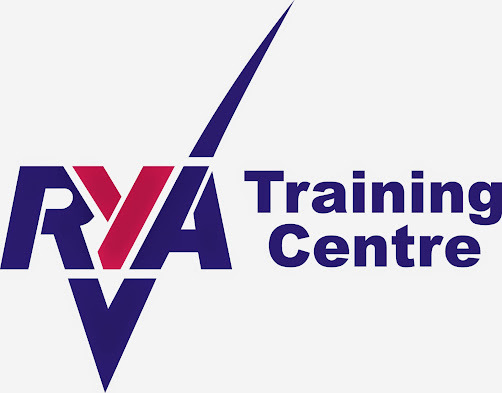 The RYA offer Diesel engine maintenance, sea survival, medical and first aid training which are all invaluable preparation. You should have a variety of tools on board along with all the relevant handbooks so that you can repair and maintain equipment whilst underway. Really enjoyed this blog and you talk a lot of sense. I thing the big thing that you bring out so well is the KISS principal or keep it simple. The more complicated you try and make it the more problems you cause. There is a lot to mention in such a short space such as water consumption, extra fuel and spare parts but you have the basics right which I like. Great tips! I would add “a battle plan”. That is what I refer to a written plan of action (or checklist) for crewmembers in case of emergency. Some examples would be: what to do in case of being holed, what to do in case the Captain is incapacitated, what to do if it is necessary to abandon ship. I try to keep my checklist a minimum number of steps (5-10), make the font big (easy to read) and laminate it. I don’t suppose you have a copy of your sheets I could adapt for our crossing? I’d expect as a baseline we’d have the same principles and then I can tweak these for the craft and crew as appropriate. I’m all for plagiarism as opposed to reinventing the wheel! A small modification to the third item, Cooking and Provisioning, is to expand that to “Living Under Way.” Such things as what to do with dirty laundry, unwashed bodies, the clean-up routine are all part of living comfortably. Food is one of the most basic and visible. Water for bathing and cleaning the yacht are part of provisioning. I have crossed the Pacific twice under sail and those very log legs bring the value of very detailed planning into focus very early. I guess the longer Atlantic crossings are the same. For the shorter Atlantic trips from New England to the Caribbean, a yacht’s crew can survive a bad plan. Yes. One skipper would also have a plan that included who would cover for a person who was a casualty. The mate took over for the skipper, etc. If I’m allowed, I would add a sixth rule for who he crossing after leaving Gibraltar. Just a tip, enjoy your crossing anyway and don’t forget your fishing gears!! 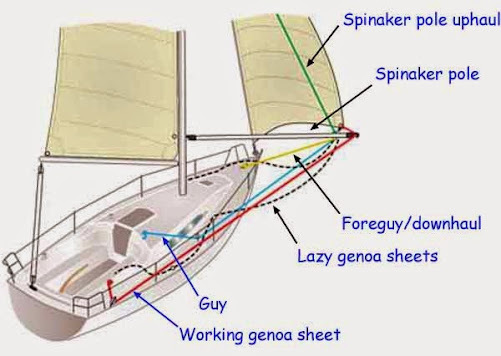 What is the lazy Genoa sheet doing on the starboard side on the sketch? Traveling by yacht seems like a lot of fun. And no one is joking about wearing a life jacket or clipping on when leaving the cabin. There are so many games and movies where the person isn’t doing one of those, falls off the boat, and drowns. Being prepared is the best advice you can get. The trick is to prepare for anything and everything to wrong so that you have a plan of how to handle it. Thanks so much for sharing! Great information and it shows how bad my first/last delivery was with different big name company. We were on a big heavy catamaran. For starters there wasn’t a safety briefing other than life jackets at night and no going forward without someone else on deck. We had most of the safety equipment you list but there was no “Plan”. We didn’t have a Ditch Bag as described by you, only a ditch bag with a EPIRB, VHF and our Passports. The remaining items were scattered about the boat and most of them were in the Captains stateroom where they were not easily accessible. The life raft was tied to the cockpit table legs with rope. He had a knife laying next to it “just in case”. The Captain also refused to Goosewing, so we were stuck sailing painfully slow on the Genoa alone. He also never ran a full main sail regardless of conditions as it was always reefed. We also missed a key weather window from our departure in North Western France because the captains wife wouldn’t let him leave until she was ready to go home. We lost our wind on day one and ran into a storm on day two because of the 2 day delay. Some day I would like to work with a Professional company and Captain. I advise to add a preventer on the main. You need it. He says a preventer on the main in the article! I totally subscribe to the previous comments about the need for a preventer on the main. It is an essential item for an east to west transatlantic crossing. In the 2006 ARC in which I participated a skipper was struck and mortally injured by the boom after a gibe in the closing stages of the event. He later died in a Barbados hospital after being picked up by a nearby cruise ship. I understand there had been no preventer rigged throughout the voyage up until then. I have done a fair amount of crossings. Sail and Power boats. ..both directions All the comments. are so true. In Gibraltar we always used to visit a Doctor and he would .help us make a list of. Medicines. For a. Possible accident. .on board. . The pharmacist the with our prescription. Would write in a book for us what medication was for … what. .this was a great asset for us….I always say to my crew. REMEMBER. There ain’t no corner stores out on the wild Blue yonder. … PS. That goes for mechanical problems. as well. Hey Boy scouts ..Be prepared. Good sAiling chaps. Capt BRIAN. FULFORD retired…..
How about a vang and preventer? I will definitely adopt the suggestions for wing on wing. One problem I’ve had in the past is chafing on the jib sheet. Perhaps by using this more stabilized rigging, the chafe will be lessened. That said, when crossing from South Africa to Brazil, we used the genakker quite often, and it performed beautifully, except for one time when the person on watch wasn’t paying attention, and the genakker wrapped around the forestay. Quite a mission getting it back in without damage! Stick to the same watch every day. Moving them really screws up your circadian cycle. Really enjoyed reading this! Thanks for posting ! I would add; “prepare food for the first 3 days that can be easily reheated” most people suffer a bit from “mal de mere” during that period. So not having to be inside cooking meals is a bonus. Great tips and thank you for sharing your experience. One thing I have to disagree with is the suggestion that bananas are worth taking! Sure they’re ok for a few days at the start. I’ve always found apples, slightly un-ripe nectarines, and green crunchy pears are the best. Plus a water melon for that ‘surprise’ you refer to! As a former delivery captain, I throughly enjoyed your writing. Safety. safety safety then all the others.